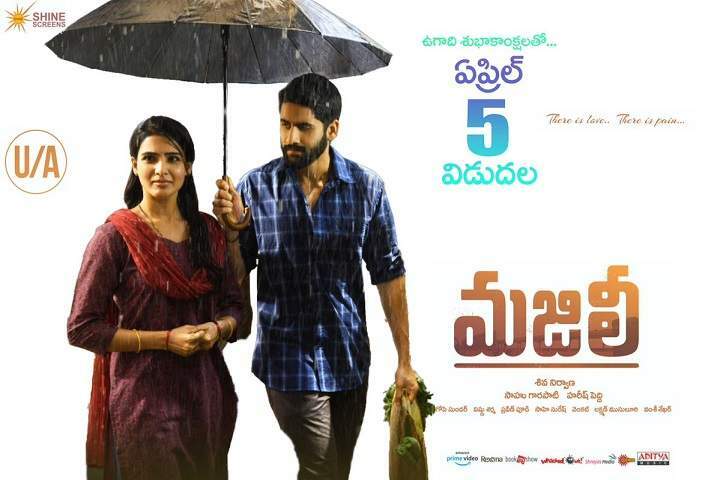 Here is the Telugu movie Majili box office collection which is a romantic drama film. The film is written and directed by Shiva Nirvana, produced by Sahu Garapati, Harish Peddi under Shine Screens. Majili stars Naga Chaitanya, Samantha Akkineni, and Divyansha Kaushik in lead role and music is composed by Gopi Sunder. Majili got good reviews from critics and audience. Majili screen count had around 1500 (worldwide). The unfulfilled dream of a cricket career and a failed romance leaves a youngster disillusioned and puts a strain on his family life. Despite the support and encouragement of his newlywed wife, he fails to appreciate the blessings in his life. Will it be too late before he realizes his mistakes?